AzireVPN is a cheap, very intuitive service with a great customer support team. They don't however offer any kind of applications and they need some infrastructure work to improve their speed. It's definitely headed in the right direction, hopefully they catch up in time to make a difference on the market. Based in Sweden, AzireVPN provides a simple and straight-forward service which we found very refreshing.The service is owned by the company Nessla AB, a small IT company providing webdesign, programming and server administration services. The website and the information provided are relevant, logically organized and intuitive. Some of the more frequently asked questions are answered right from the start by the way the description is composed, and their very well organized FAQ page should answer any remaining questions. The sign-up process was simple, only requiring an e-mail address. Please keep in mind that depending on the payment method you choose, there might be additional information required. They offer three VPN server locations: Sweden, UK and US, and have several servers available for each location. This may not seem like a lot, but quality over quantity in the case of a VPN service is preferred (assuming that the small range of locations available is suitable to your needs). You can have up to five devices connected at the same time which gives you a bit more flexibility. AzireVPN has a zero log policy, stating clearly that they log absolutely no information, so there wouldn’t be any to give even if they were to be legally compelled to do so. You can find the terms of service and more detailed information on their policies here. They also have a warrant canary available, so you might want to check that out as well if you are interested. AzireVPN does not offer a proprietary application for any of the supported platforms. They support all the major platforms through open-source VPN solutions though, and you can find more information about the supported operating systems and environments here. Since we used OpenVPN GUI in order to test the VPN service, there isn’t much to discuss regarding the software, but we would like to mention that there are three configuration files available and the connection process is smooth and simplistic (which in this case is a great thing). The number of features available are quite restricted due in great part to the usage of a third party application. Depending on the OpenVPN client that you choose to use, you might run into different restrictions or feature availability. Regardless of how convenient and easy to configure AzireVPN made the GUI, we still feel very strongly about having a stand-alone application, at least for the major platforms. There are certain features that make your connection more secure that are simply not implemented in open source solutions, and this somewhat defeats the purpose of using a VPN service. A neat feature that AzireVPN has available is the possibility to check if you are connected through AzireVPN and what IPs you are leaking through WebRTC. It’s not something complicated or a fancy feature, but rather a useful tool for customers to check in case they don’t have knowledge of other means to do so. You can check out this feature here for more information. For more advanced tools to check for IP leaks, read our article: Best sites to check for IP leaks 2016. Netflix only works on the UK server at the time of the test (mid October). We weren’t able to get the service to work on the SE and US servers. Same goes for Hulu. Other streaming services worked well on all servers, there was no lag, no skipped frames and the whole experience was quite fluid. Regarding encryption, AzireVPN use AES 256 bit encryption for data channel, SHA512 HMAC for authentication digest and RSA 2048bit for key authentication. A web proxy is also available and it is included with the VPN service from AzireVPN. The results were good, and we have to mention the fact that the connections were steady, there were no issues or interruptions, and there were no IP leaks, which is something that we specifically checked for since there is no kill-switch feature available in the OpenVPN GUI. The torrent download speed tests were satisfying, but we’ve seen better. The connection was stable, there were no disconnects or any other issues except for the US server. We were unable to get the torrents to work initially. After about 12 hours, we tried again and they seemed to be up and running, but at a rather low speed. There was a 20% fluctuation in both directions, but nothing that would drastically improve the download speed. The browsing experience was fluid, there were no disconnects or issues whatsoever. The speed was close to 10Mbps in our testing, which isn’t too bad but not so good, either. The mobile experience overall was good, but again, we would have really loved to see a proprietary application. The price is fair, with a 15 euro discount should you choose to go for a whole year’s subscription. 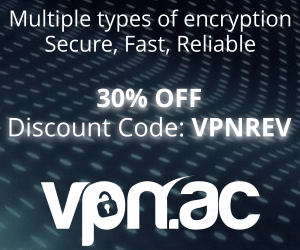 We find this pricing range acceptable, even though there are some limitations in comparison to other VPN services. There is also a 7 day no questions asked money back guarantee that comes along with their service, but please be advised that this money back guarantee does not apply to Bitcoin payments and monthly subscriptions. The monthly subscription part we can maybe understand, as some users may abuse the fully-featured trial week and then ask for a refund. Paying 5 euros for a one month subscription to test out the service is not unreasonable. What we don’t understand is why they don’t offer refunds to Bitcoin transactions (they offer no explanation). We assume it has to do with the volatility of the currency, but still, this aspect should be properly addressed by them, even if only with a FAQ question or something along those lines. The following payment methods are available: Credit Cards, PayPal, Bitcoin and Swish. The customer support team was on spot, our experience with them was as smooth as it was with the rest of the product. They answered our question within 6 hours, they had a very professional approach, short and concise answers that led to a 100% effective resolution. We would like to mention that the only way to contact customers support is via IRC or a contact form. This is not particularly unusual for a VPN service, and we don’t consider this to be a minus, but rather just something worth mentioning in case you are expecting other forms of support such as live chat or phone assistance. Simple sign-up and very intuitive service all around. Cheap, even though it offers a restricted number of features. Seven day money back guarantee (restrictions apply). Transparent company, well organized structure on presentation. Netflix and Hulu work on some of the servers (we consider this a plus but would never hold it against a VPN provider if they were not available). Great and prompt customer support team. Nice FAQ and documentation pages that cover a good variety of common issues and easy to follow setup instructions. No stand-alone application available on any platform. So they are lacking some key features, such as a kill-switch, DNS leak prevention and so on. Only 3 locations, no good options for users in Asia. Somewhat low speed test results, not terrible, but we would love to see them improved. Maybe some infrastructure work would be in order. All things considered, we give AzireVPN a 5.5/10 with the hope that they will expand and offer more features in the future. It is a completely functional service, but it lacks a lot of features and is very restrictive as far as connection possibilities go. You cannot disable IPv6 in the windows registry in case you do not want to use it. If you do so, the connection will fail due to a “netsh error”. Hence, if you don’t want to use the IPv6 connectivity, you have to untick the corresponding option in the Adapter settings. The Sweden and UK servers have no NAT and you get assigned a public IP. Therefore, no shared IPs are used and all ports are open. This defeats the whole purpose of a VPN, because usually a single IP address is being shared by many users, providing far more anonymity. The US servers though have NAT. They have their own DNS servers, which is good, as many other providers rely on Google DNS or OpenDNS instead. (Torrent) speeds and stability are flawless, but i am connecting from Europe and maybe that’s the reason why i have no issues of that kind. All in all, i am not entirely sure of what to think of Azire, they are fairly unknown and i am not sure if they are trustworthy. There are barely any reviews out there, let alone some informative user experiences. I like their simplicity though, i don’t need an abundance of servers to choose from. And i also don’t need servers in remote parts of the earth like Mongolia or so. So in this case, Azire does indeed fit my needs. But since they are so unknown and small, hmm, well….